Thank you for signing up for your White Plus sample kit and complimentary skin consultation! A confirmation email regarding your complimentary skin consultation and FREE White Plus sample kit will be sent within the next working day. You've collected your very first Acerola in the Get Glowing Journey! Continue collecting more to redeem your Mystery Gift. Keep it up - 2 Acerolas collected! You're halfway there! Collect 3 more Acerolas in the Get Glowing Journey to redeem your Mystery Gift. Clarins Tip: showing us your #GetGlowing tip is an easy way to collect more Acerolas! Congratulations, you have collected 6 Acerolas in the Get Glowing Journey! Your Mystery Gift awaits. Please visit any authorised Clarins counter to collect your gift. We're proud of you for pushing on! Few have made it this far. You'll now have maximum chances for the Grand Prize draw! White Plus Tri-Active Brightening Serum first! glowing skin with Clarins White Plus range! Collect Acerolas as you embark on the Get Glowing Journey - the more you collect, the higher the chances of being 1 of the 5 winners to enjoy the White Plus Luxury Experience on 8 May 2018! Share your tips for glowing skin with Clarins products on your social media networks! Complete the White Plus Quiz! Q1 What is the key plant ingredient found in the White Plus range? Q2 Where does Clarins source its Acerola from? Q3 Complete the sentence: the White Plus range draws on Clarins' _____ years of whitening expertise. Some answers are not correct. Find hints on the correct answer on the sampling page. Please try again. You're a White Plus Expert! An Acerola is added to your Collection! Discover the power of Acerolas in our White Plus range in this workshop at S L O W H O U S E, conducted by wellness influencer Bella Koh. Learn how to make your own ‘Pink Curry’ (a hot dish cooked with Acerola as a key ingredient) and enjoy an Acerola Welcome Drink and Clarins Gift worth $85 when you attend. Ticket is fully redeemable with Clarins products. • Valid for purchases made at all authorised Clarins counters, including Clarins Skin Spa at Wheelock Place, Clarins Boutique at ION Orchard and www.Clarins.com from 1 March to 30 April 2018. • Bonus Club Clarins Points are limited to one-time use per Club Clarins member. • Bonus Club Clarins Points are awarded based on highest possible combination. • Bonus Club Clarins Points will be credited within 5 business days. • Applicable with other promotions except price-off value sets or Get Glowing Kit set. • Completion of compulsory activity required in order to qualify for the Grand Prize draw. 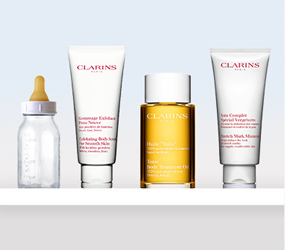 • Clarins reserves the right to replace gifts with other items of similar value. 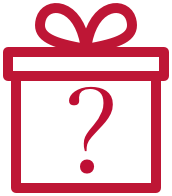 • The Mystery Gift is on a while stocks last basis and subject to availability. • Grand Prize draw winners will be notified by email by 11 May 2018.